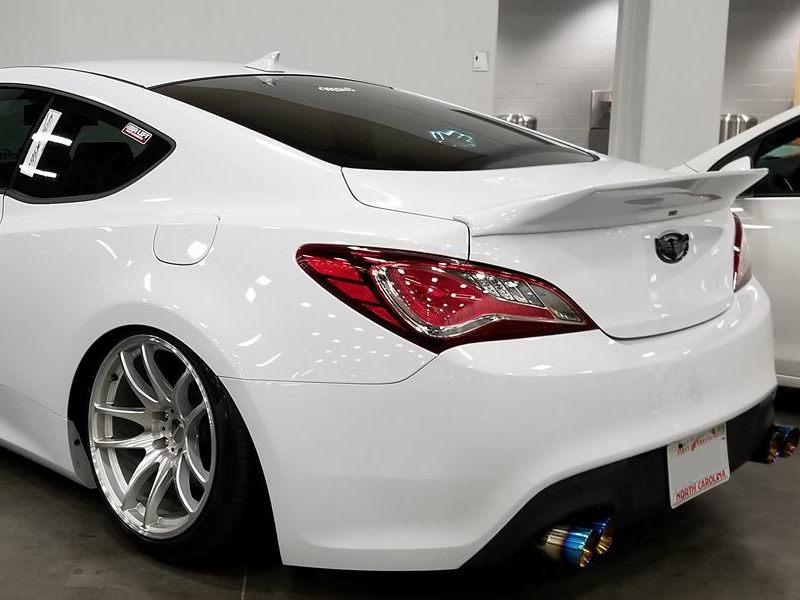 Duckbill-style spoiler from Monster Service for the 2010-2016 Genesis Coupe. Made of high-impact fiberglass and is attached to the rear trunk with industrial-strength double-sided tape, silicone adhesive or hardware of your choice. (Not included). To have your spoiler pre-painted upon arrival, make your selection below. If you select the "OEM Bodycolor" option, please include your car's paint code or paint name during checkout. Universal options are suitable for any Gen no matter what color your car is.